The majority of UPS systems supporting computers have fairly short autonomy (back up) times, typically just a few minutes. This time will see the computer through the very short "blips" in electrical power which are by far the most common type of outage. In the event of a long outage, possibly caused by major problems to the electrical distribution system, software can be installed to automatically initiate a controlled shutdown of the computer thereby avoiding the possibility of data loss. However, some application of UPS systems require longer period of protection and support of the critical load. Two examples of the many applications needing longer back up are Telephone systems and actuators. Despite the proliferation and advantages of mobile phones they still cannot be totally relied on for critical telephone systems. Take for example the 999 emergency call number. This application needs a constant and reliable long term power back up system not subject to loss of signal or flat batteries. Another example is the actuators controlling the flow of gas, water, oil etc. which must be given a sufficiently long power back up for the actuator to return to a safe condition in the event of a power outage. 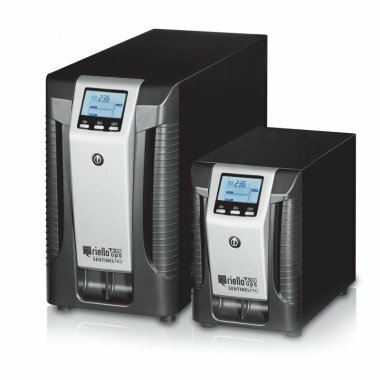 A wide range of our UPS systems of all power ratings can have additional battery cabinets installed to increase the autonomy available. For example check out our 1 to 3 kVA range which offer autonomy times from 5minutes to over 7 hours.